Once more the Jolly Postman rides - and flies - and shrinks! This brilliant book is the third adventure for the Jolly Postman, originally published in 1995 and now back in print! The Jolly Postman's morning is set off course when he suffers a bump to the head before he shrinks to the size of a postage stamp . . . and it just gets curiouser and curiouser! 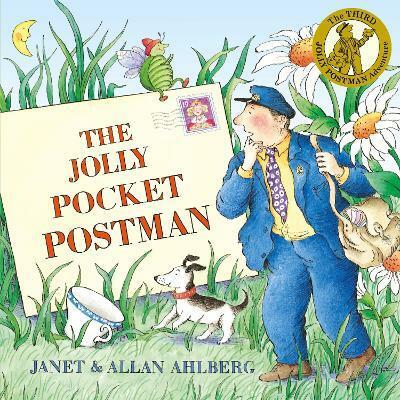 Featuring a whole host of familiar characters, pull-out letters and a magnifying glass, The Jolly Pocket Postman is the third in this bestselling and award-winning series by Janet and Allan Ahlberg.